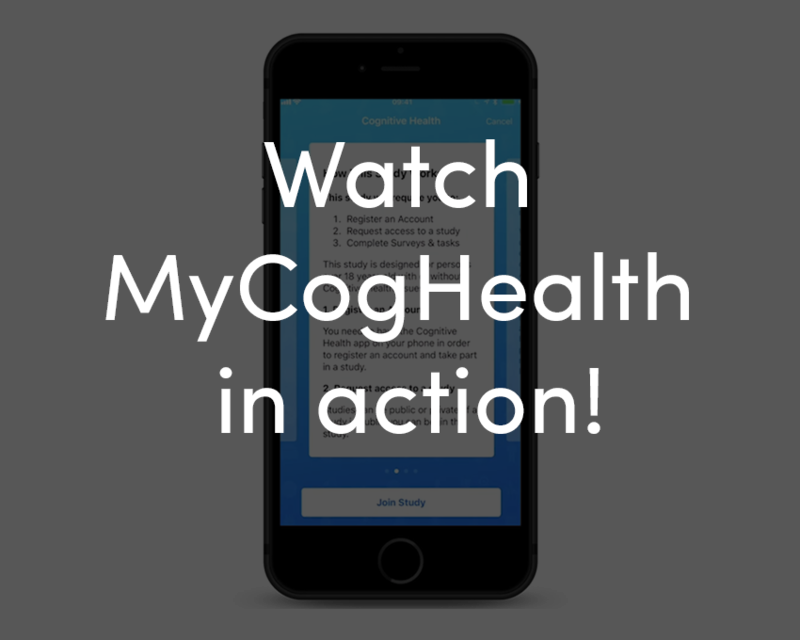 MyCogHealth is a research tool to assess cognitive health over time. The mobile application allows participants to participate in studies, and take surveys throughout their day-to-day, capturing real data in different real-world scenarios. Participants are prompted to complete surveys when they become available, they can answer a series of questions and complete brain games. The Web admin panel is a robust tool that researchers can use to create these customizable studies. Researchers can publish multiple studies, create surveys and questions within the studies, and schedule them to occur at specific times. When participants complete the surveys, data is collected in the database and can be exported by the researcher by filtering and customizing the datasets. With this tool, the UVic Institute of Aging & Lifelong Health will be able to easily assess individual cognitive health over a long period of time, and compare individual historical results to an individuals current results, therefore analyzing age related cognitive decline.